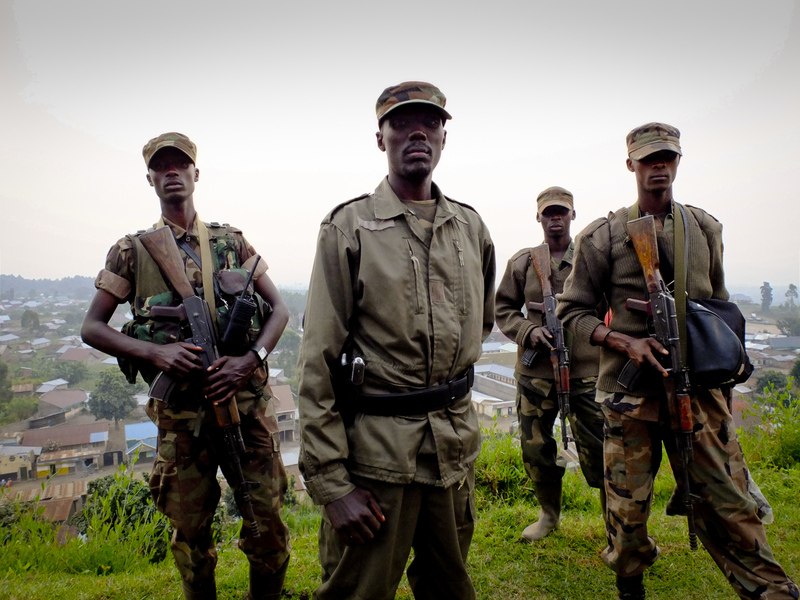 Editor's Note: This op-ed, co-written by Timo Mueller and Christoph Vogel, a Mercator Fellow on International Affairs based in eastern Congo​, originally appeared on RealClearWorld. It was a rainy Sunday afternoon in early April when we called "Brigadier General" Sultani Makenga, the military leader of M23, currently one of the strongest armed groups in eastern Congo. Working as field researchers in the Kivus, we wanted to engage with him face-to-face to capture his take on the DR Congo's state of affairs and learn first-hand about the latest developments inside the rebellion. M23 was consumed by heavy infighting in recent weeks, after latent fractions and fissures between Makenga and his rival Bosco Ntaganda erupted into open and violent conflict. In the ensuing whirlwind of events, Makenga regained the upper hand in late March, and Ntaganda surrendered to the International Criminal Court, leaving many of his men with no choice but to re-defect. A barricade at the northern outskirts of Goma, two kilometers past the airport, was the last demonstration of Congolese state authority before entering M23-held territory — a dozen uniformed men and a thick wooden stick placed across the road. It is symptomatic of the feeble protection that has come to characterize the army's performance in the country's main eastern city. The few state officials that are stationed at the frontlines may offer little resistance if M23 were to decide to retake Goma as they did in November 2012, with the alleged support of Rwanda and Uganda. The surrounding scenery is very beautiful. Encircled by towering hills and volcanoes, the road led us through lush green pastures. Despite the tragedy associated with the Kivus, nature's charm in this part of the world is captivating and puts in stark contrast the cycles of violence prevalent in the lives of the people who call eastern Congo home. On the ninety-minute drive, we encountered one major security checkpoint in the small town of Kibumba, roughly 30 km north of Goma. Approximately twenty combatants — some of whom carried RPGs, grenades and other assorted heavy arms — forced us to stop and explain ourselves. One M23 member in particular was very agitated and made our driver step out of the car. Leaning through the window, he asked for our identities, professions and the purpose of our trip. We mentioned the "rendezvous avec le général," allowing us to resume the journey minutes later. Continue to read the full piece here.